One of my favorite, easy day trips away from the concrete jungle is only a quick ferry boat ride from many places in Brooklyn and Manhattan. Governors Island is a small island located in New York bay. Every summer they add more and more attractions. 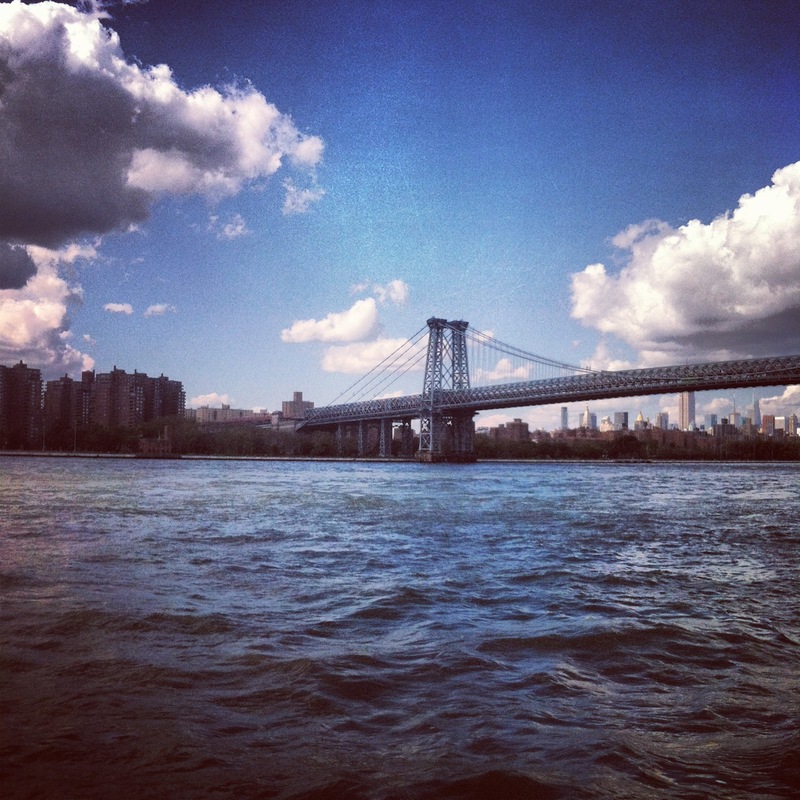 There are two options to get there: a free ferry and the East River Ferry. 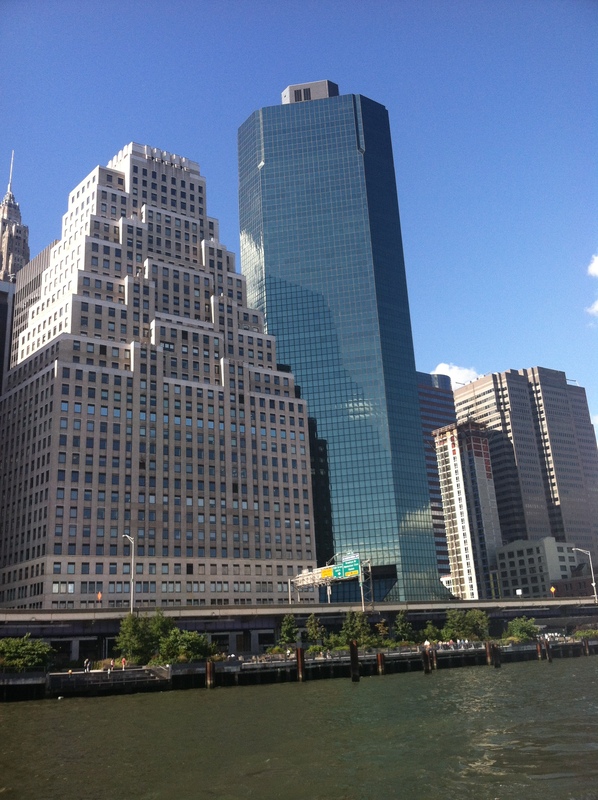 Personally, I prefer to take the East River Ferry, even if it is $4 each way, since it is less crowded. 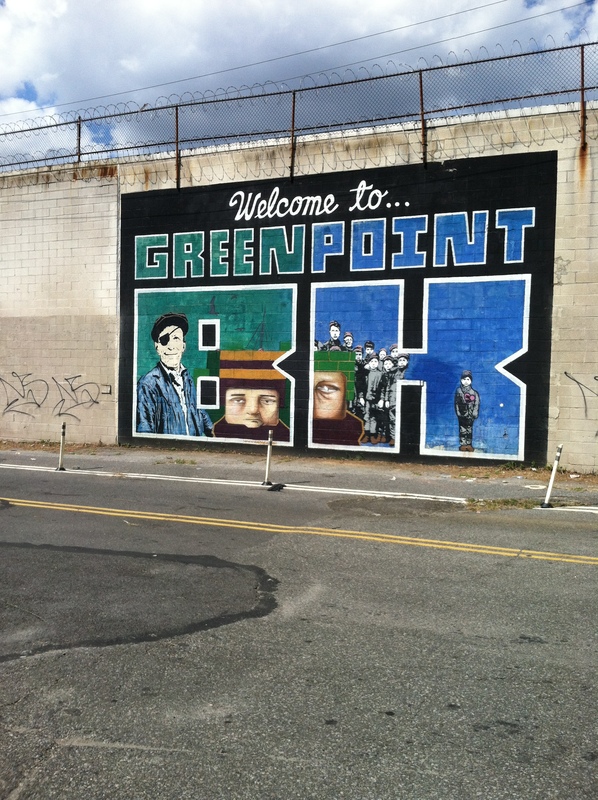 Above is a mural on the way to the (now defunct) India Street Ferry dock. During our really harsh winter, the dock dislodged from the land and sank. Luckily, no one was injured, but for the time being, there is no Greenpoint East River Ferry stop. Even if you don’t have a destination in mind, the various New York water transportation routes have stunning views of the city and bridges. Here is Downtown Manhattan looming over the water. The East River was apparently looking pretty slimy that day. In addition to some lovely historical buildings, there was also a petting zoo! They had composting and other facets of living sustainably, an important part of which is baby animals. 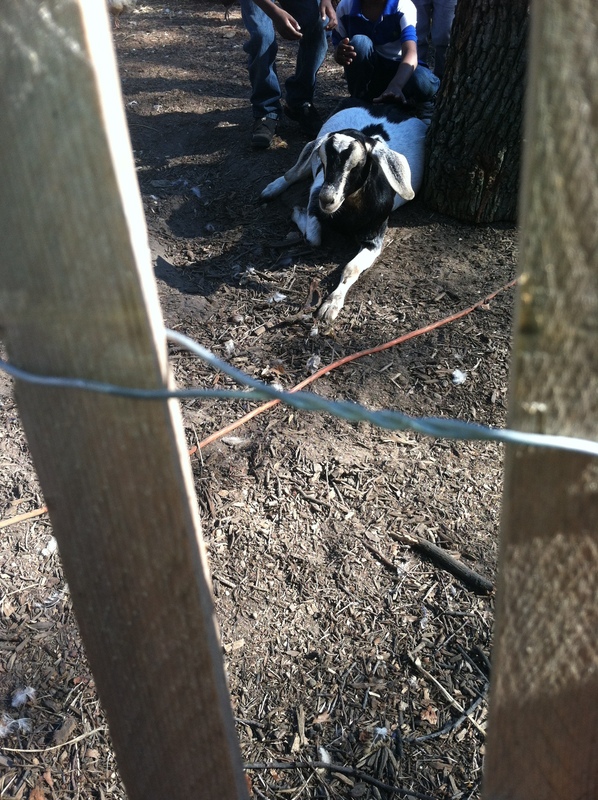 I would have a pet goat in the name of composting. There are great bike paths and rolling hills for picnicking on the island, but there are also some really fun events held there. 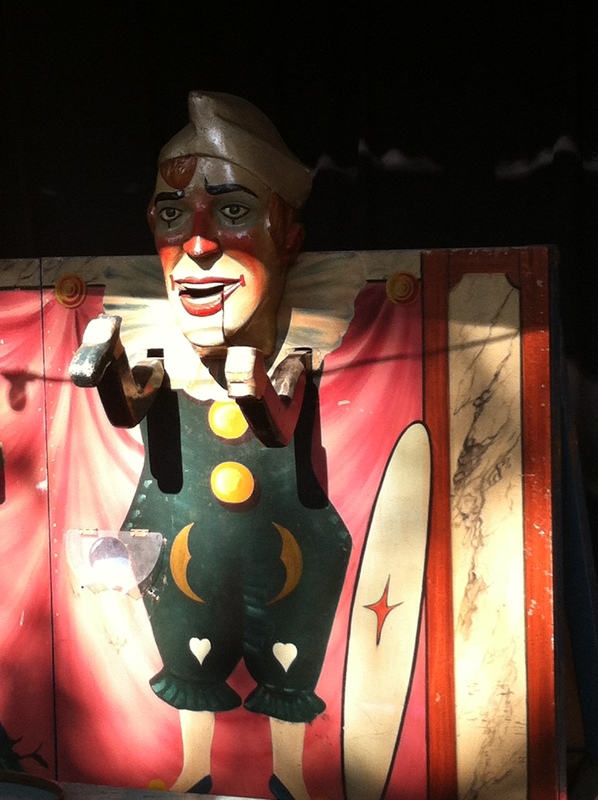 Last summer, we made the trek for Fete Paradiso, which was a lovely vintage French carnival. 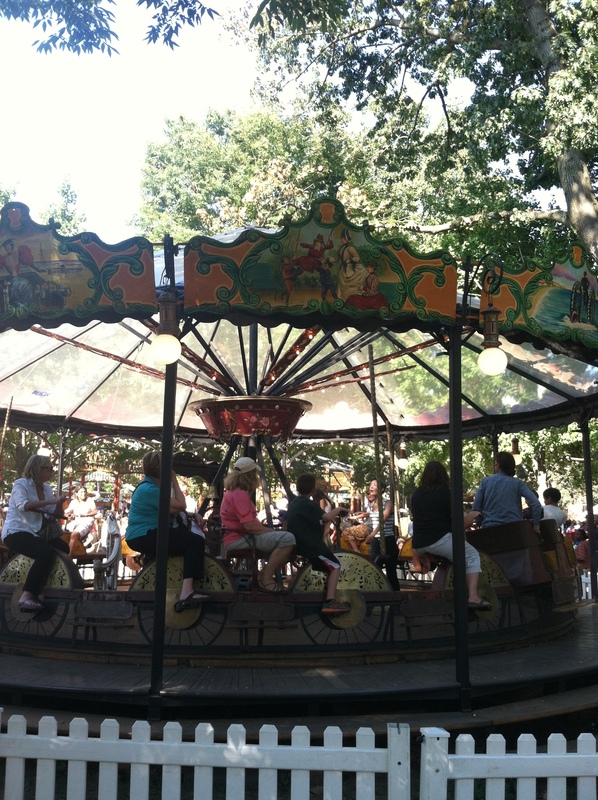 Here is a carousel powered by people pedaling. 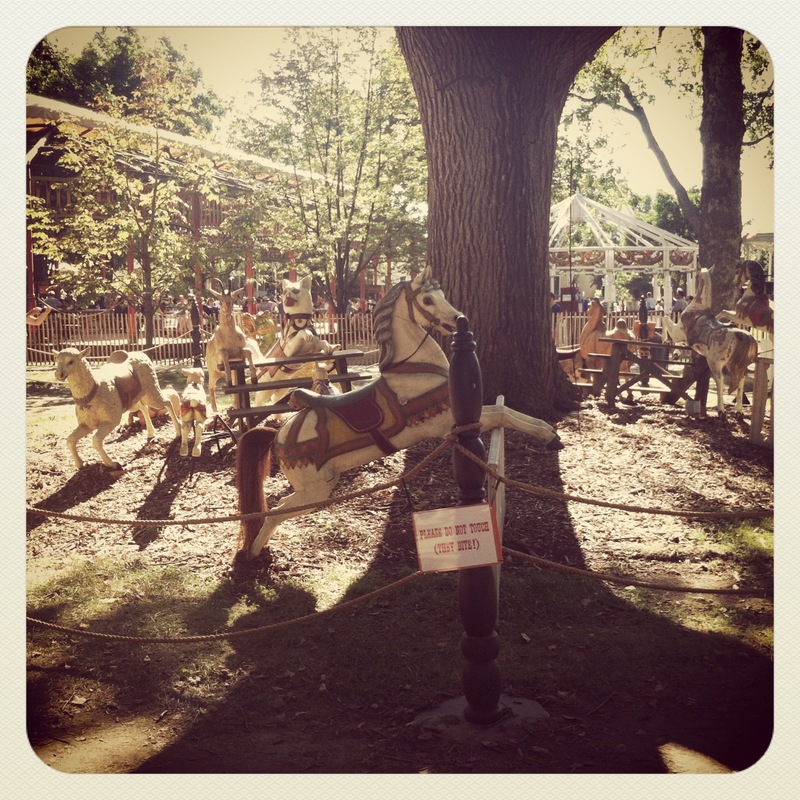 This appeared to be some sort of field of carousel horses. The whole carnival had a very surreal feeling to it. Of course, no fair is complete without a sword sallower. 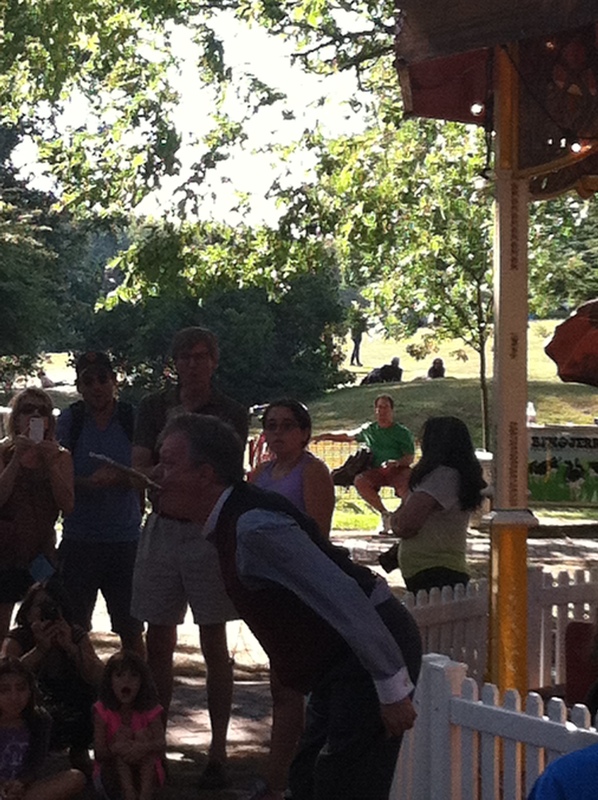 The picture doesn’t really do how weird and grotesque it was justice. And a creepy clown puppet thing to wrap things up. It is so easy to get to Governors Island that there is no excuse not to go. I would recommend going with a plan in mind, be it checking out the weekend’s event (it is home of the Jazz Age Lawn Fest) or a bike ride and picnic. Cars aren’t allowed on the island, so it makes for easy biking. There are also plenty of food trucks sprinkled around the island for easy snacks and drinks. Next Post Kentucky Derby Day!